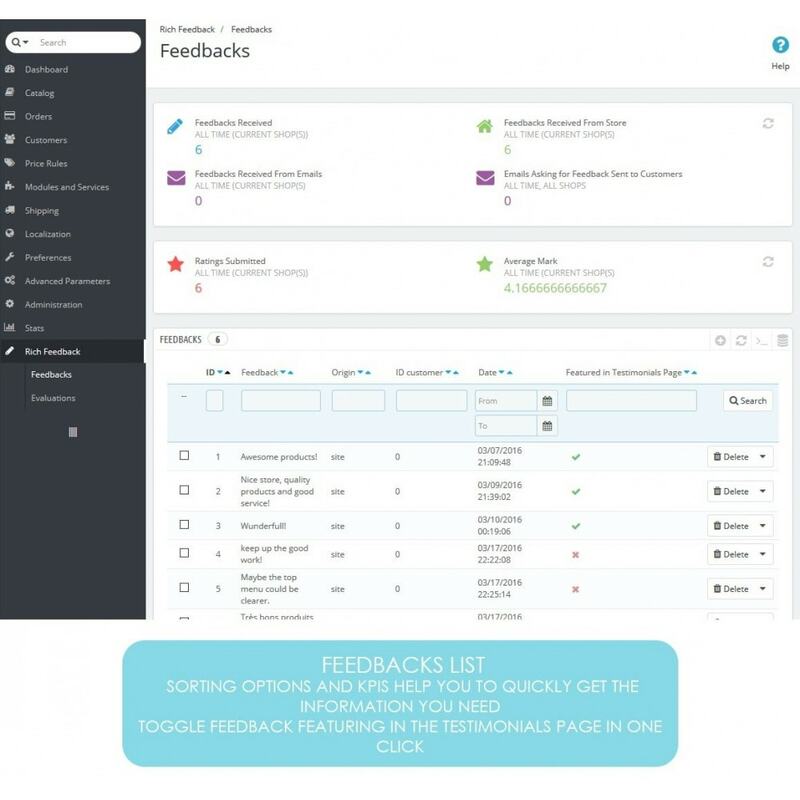 Easily and quickly gather your customers feedbacks throught a clean and customizable form. Showcase the best ones in a dedicated testimonials page. 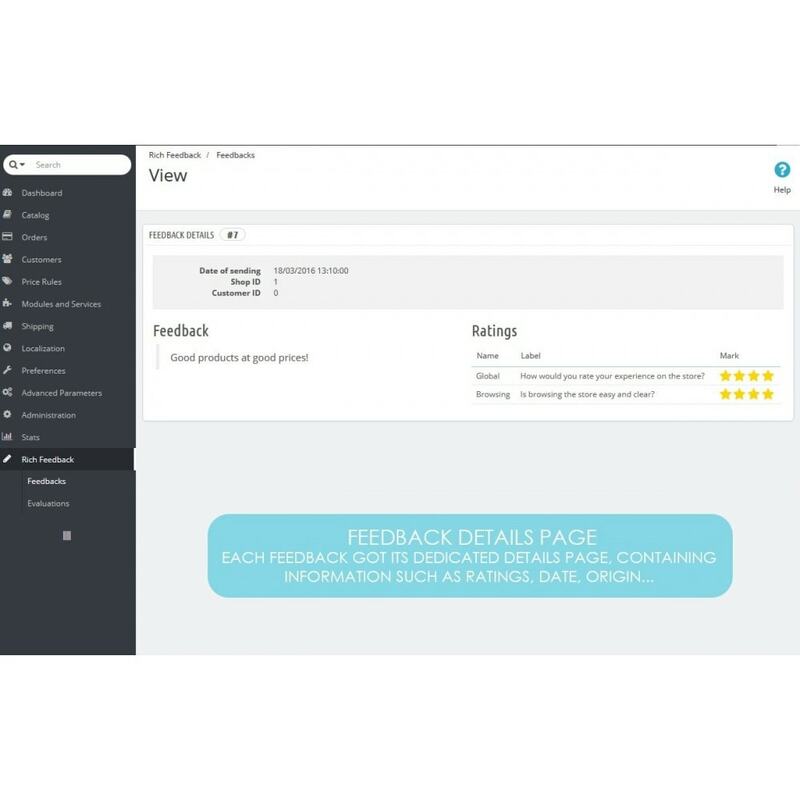 Add a customizable feedback form to your store, on a dedicated page. Add a Testimonial page to your store and share with your visitors the best of your clients’ testimonials. 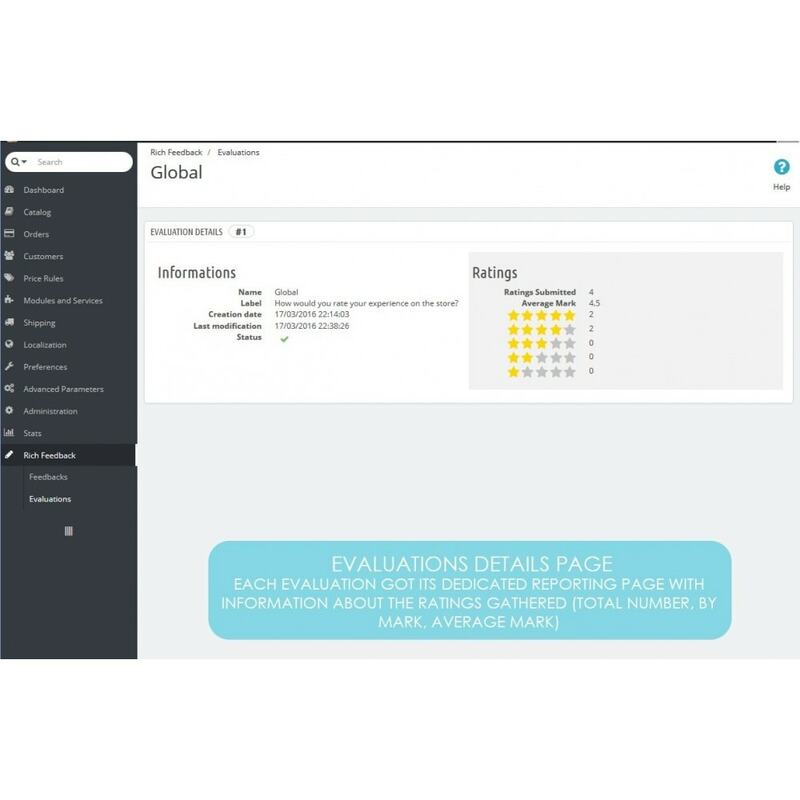 Evaluate your clients’ opinion and satisfaction through a user friendly stars based rating system. Automatically send emails asking your customers for feedback when they receive their order. 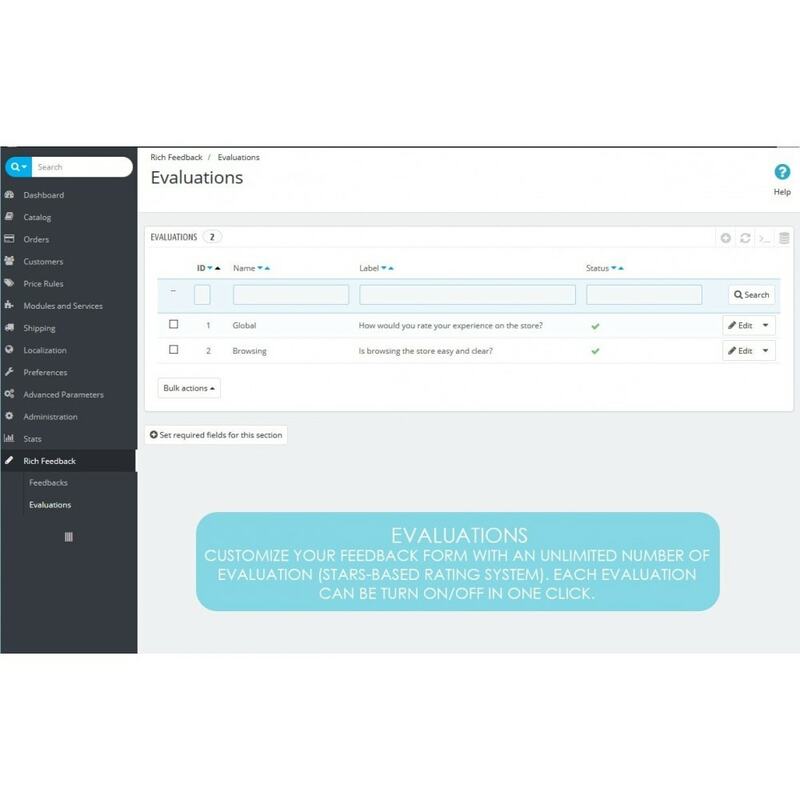 Stars based rating system: Add an unlimited number of evaluations to your feedback form and your customers will rate them from 1 star to 5 stars. Creation of testimonials page: Add a dedicated and customizable testimonials page, featuring the customers’ feedback you handpicked. 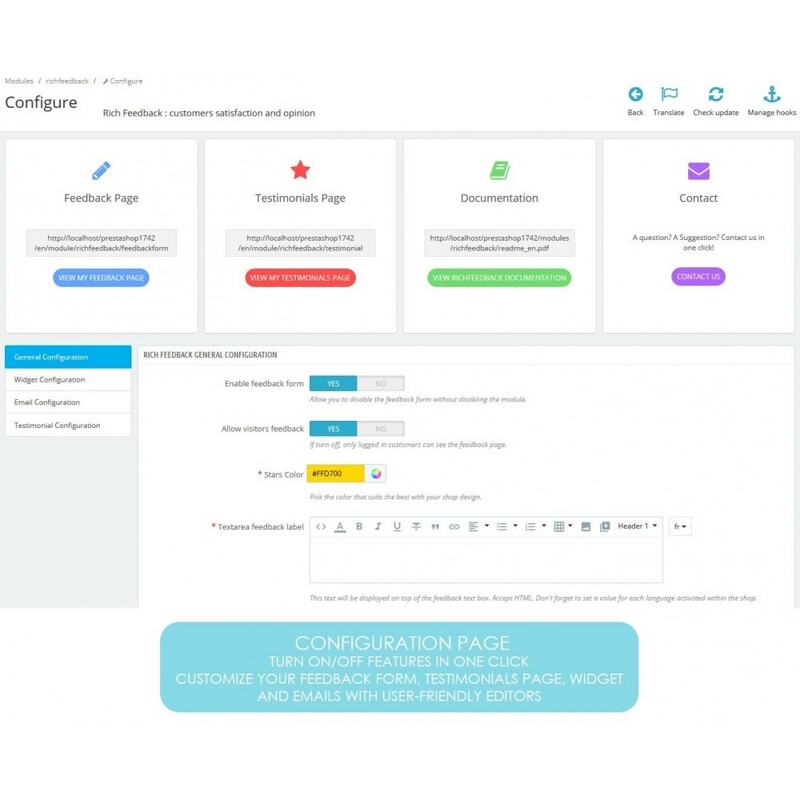 Automatic email sending system (can be enabled/disabled) : when enabled, an email asking for feedback would be automatically sent to your customers when their orders are set on "delivered". The emails content is completely customizable. Anti-spam system : the feedback form is protected against spam and robots. Your clients can easily and quickly give their opinion and thoughts, directly on your store. They're satisfied that their feedback matters to you!